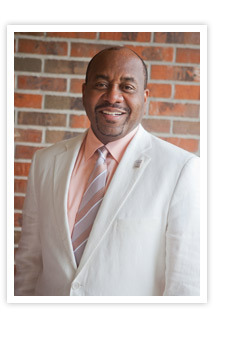 Bishop Larry Taylor is the Senior Pastor of Center For Hope International Ministries, a multiracial, non-denomination church located in Bloomington, Illinois. Having been in existence since 2000, Center for Hope Ministries continues to impact the community through countless outreach programs, community-empowering events, and building projects all sponsored by Bishop Larry Taylor. He is revered locally, and internationally as a man of faith, integrity, leadership and dynamic vision. A native of Chicago, Illinois (West Side), Bishop Taylor graduated from Illinois State University in 1982 with a Bachelors of Science in Economics and subsequently worked in banking, management, & Financial Counseling for over 20 years. Bishop continues to work in the area of finances, empowering individuals from various economic backgrounds to break poverty cycles, and to leave an inheritance of wealth for their children’s children. Bishop Taylor walks boldly as a modern day Joshua, called to empower God’s people to posses and establish ownership in the earth. After completing the first phase of the Center for Hope Campus, Bishop Taylor immediately began to develop financial strategies for phase two: a multi-purpose gymnasium, which would serve the youth and ministry outreach programs. In October 2008, phase II opened to members providing a balanced approached to life, meeting both natural and spiritual needs. Other Building projects in the works include: Hope Christian Academy and a daycare facility. Bishop Taylor is a visionary, counselor, teacher, and innovator, but most of all he is a devoted husband to his wife, Elder Desetra Taylor of over 32 years and a loving father to their three children. Elder Desetra Taylor, a native of Rockford, IL, is revered as a woman of great wisdom, not only for women in general, but for Pastor’s wives as well. In ministry, she serves alongside her husband, Bishop Larry Taylor. Together they teach preventative, yet practical methods on maintaining a balance in the Christian life, specifically in the areas of marriage, family, and finances. Elder Taylor’s commitment to helping others is evident through her lifestyle of service. She serves as the director of Women Positioned for Purpose, a women’s ministry that caters to the needs of women from all walks of life. Frequently, Elder Taylor host women related events such as retreats, workshops, Sunday School sessions and other events to empower women. In 2007, Elder Taylor established 100% Changed, a discipleship program that encourages women to embrace a total transformation; spiritually, emotionally, and physically, while cultivating a more intimate relationship with Christ. The program launched with two graduating classes of 12 highly motivated women. Since then, Elder Taylor has expanded the program into a women’s conference held annually in the fall. In addition to serving in ministry, First Lady Taylor is keen on the business affairs of corporate America. After earning a Bachelors of Science in Economics from Illinois State University in 1984, she worked in the field of insurance for over 20 year. These are just a few noteworthy accomplishments Elder Taylor has acquired throughout the years. Though great in their own right, she considers supporting her husband in ministry and raising godly children her primary accomplishment. 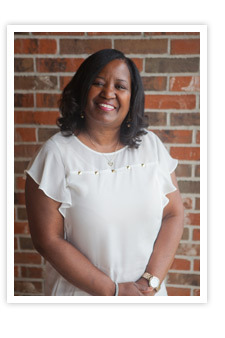 She faithfully serves as her husband’s helpmate and she is actively involved in the lives of their three children.